Jeunesse Beauty Salon offer a complete range of beauty treatments, including advanced skincare solutions from CACI and Crystal Clear along with facials from Matis. So, wether you're looking to rejuvenate your skin, give your eyebrows a make-over with High Definition Brows, relax and unwind with a specialist massage, get glammed up with a St. Tropez spray tan and Glitter nails or spend a whole day being top to toe pampered, we're here to help you emerge beautiful. what is crystal clear comcit? It offers the simultaneous delivery of Cryo Oxygen whilst our unique Microchannelling Roller creates thousands of microscopic channels in the dermal epidermal junction. This allows the topical infusion of powerful skin rejuvenation ingredients to be driven into the skin alongside cold oxygen. This is the most effective skin rejuvenation system yet as we are effectively getting down to the layers where skin health begins. These are the layers we need to reach to promote new collagen growth. 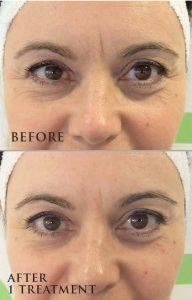 Microdermabrasion is a clinically proven and celebrated skin resurfacing treatment that offers flawless results for problem skin, pigmentation, lines and wrinkles, scarring and body treatments. In clinical trials, Crystal Clear Microdermabrasion was conclusively proven to dramatically and visibly improve the texture and appearance of the skin, reducing and smoothing lines and wrinkles and producing more beautiful rejuvenated skin.